The solar industry is the largest renewable energy employer in the US and the second largest energy employer behind the oil and gas industry. Wind and coal trail far behind solar in terms of the number of people employed. (For comparison, coal mining lost 2,000 jobs between 2016 and 2017, although that industry employs only slightly more than 50,000 people. 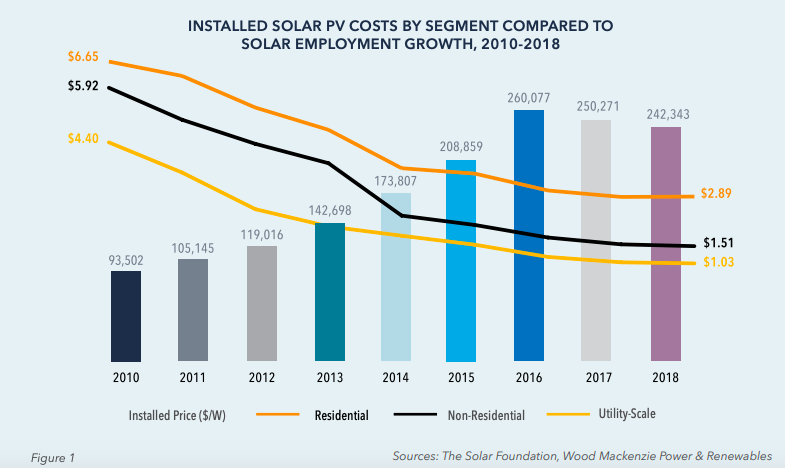 )2018 marks the second year in a row that the solar industry has posted job losses. In 2017, The Solar Foundation’s report showed that employment contracted by 3.8 percent. The foundation only counts solar jobs where at least 50 percent of a person’s time is dedicated to solar energy.